Ahead of his appearance at Vevolution Festival this November, we decided to have a chat with Brett Cobley, the creator of EpiVegan. EpiVegan first began as an Instagram page in 2016. Brett wanted to show the world that vegan food can be just as delicious as non-vegan food. 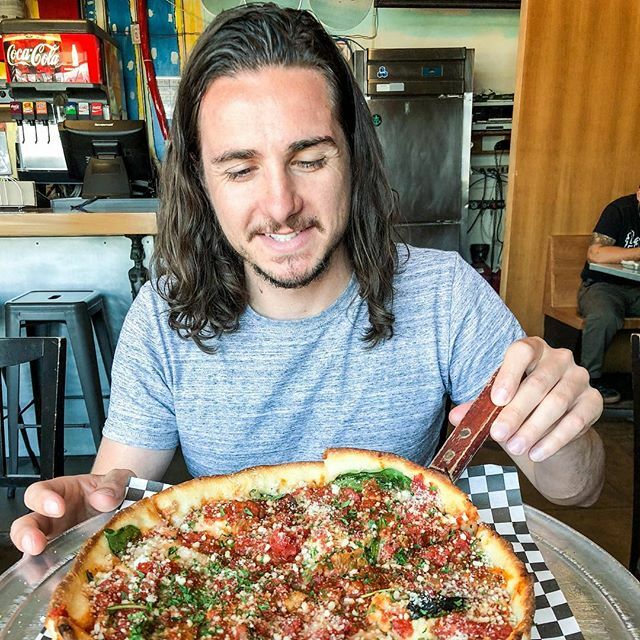 2 years later, EpiVegan has grown into a blog and YouTube channel, and his cookbook What Vegans Eat is being released this December. I've always loved to cook but when I went vegan I have to ask myself the question "what do vegans eat?" For the first couple of weeks I just ate raw vegan food and did research on what I could eat. But once I got cooking I found a new flare and love for cooking. I have been vegan over 2 and a 1/2 years. What is your go-to dish to cook for meat-eaters? I think it is important to know your audience. Cooking dishes that are already vegan is always a great move because using mock meats and cheeses can sometimes be an issue. I usually cook a chickpea, coconut and spinach curry for meat eaters and I get a lot of requests for it. Did you start up your Instagram with intention to move onto YouTube/Blog/Book?! Or did it just all just fall perfectly into place? When I went vegan I didn't actually know any vegans. So setting up my instagram was a way to meet new people, and show my friends and family that I could cook great food without harming anyone. The youtube came later. It was something I had always wanted to do but never had the push to until I had a cause that I believed in. Was Instagram a lot different in 2016 to how it is now? Instagram has gone through huge changes over the last few years and it can be hard to keep up with what is changing. Ultimately you need to be responsible with social media because it is constructed in a way that leaves you feeling dissatisfied by nature. So its important to take a break. How long did it take for you to write the book? Roughly 6 months. In terms of how long it usually takes, this book has been really quick. A big reason for that is we want to use it as a book that can support veganuary. And I had also been working on a lot of recipes already. What is your advice for vegans wanting to prove to their family/friends that plant-based food is just as good as ‘normal’ food? Check out some of my recipes and cook for them. Make the effort and let the food do the talking for you. Also invite some of your most reasonable vegan friends over to have open conversation. Are you looking forward to Vevolution? And are you prepared for it? Yes I am really looking forward to it. I feel prepared and ready! This year at Vevolution Festival we will be discussing vegan food, cooking, and everything in between. Come join the conversation, and learn from some of the most inspiring people in the movement! Tickets available here.